When garam masala is used in a recipe, there is an unmistakable aroma of rich and complex spices permeating through the air. Familiar spices of coriander, cumin, chili, and black pepper create a foundation of flavor that is versatile enough to use in a wide variety of recipes. 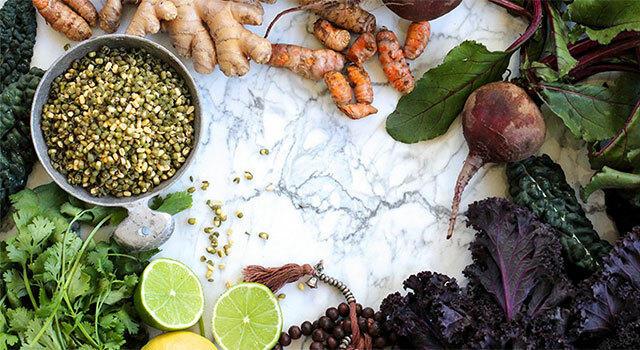 The addition of cardamom, clove, nutmeg, and fenugreek, create an incredible flavor profile that is wholly unique. 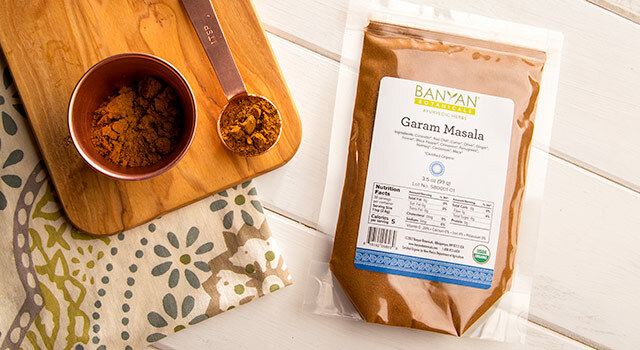 Garam masala has a place in every well-stocked spice rack, serving as a testament to its long legacy of culinary use. Try this classic mix in your favorite dal recipe, spice up a batch of vegetables, or add it to the dough of homemade flat bread. The perfect complement to garam masala is organic ghee. Melt the ghee, add garam masala, and drizzle over popcorn, roasted potatoes, or baked apples. If you’re in the mood for something sweet, don’t be afraid to experiment with garam masala in cookies, cakes, oatmeal, and so much more! 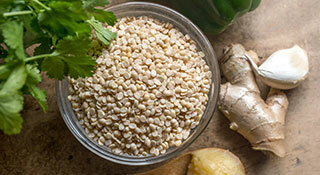 Coriander+, Red Chili+, Cumin+, Clove+, Ginger+, Fennel+, Black Pepper+, Cinnamon+, Fenugreek+, Nutmeg+, Cardamom+, Mace+.